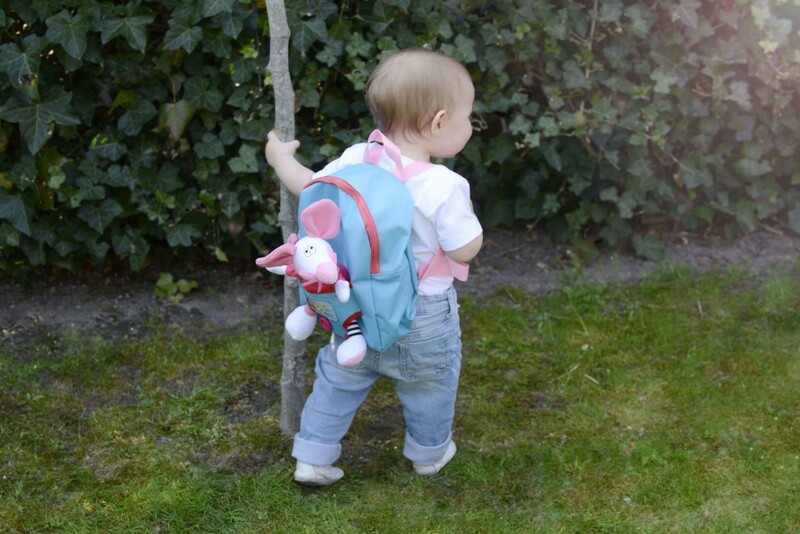 The back pack for a young explorer off on their first adventure. 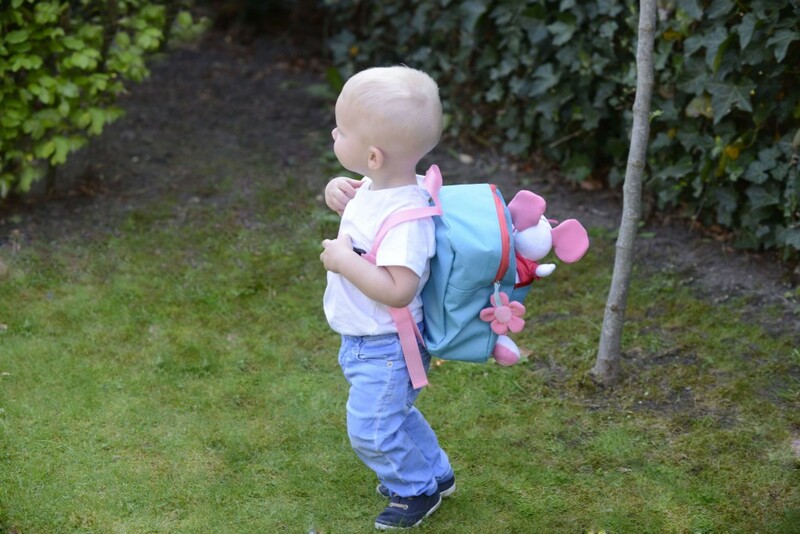 There is a cute removable mouse in the front pocket and pull string flower to open the zipper. 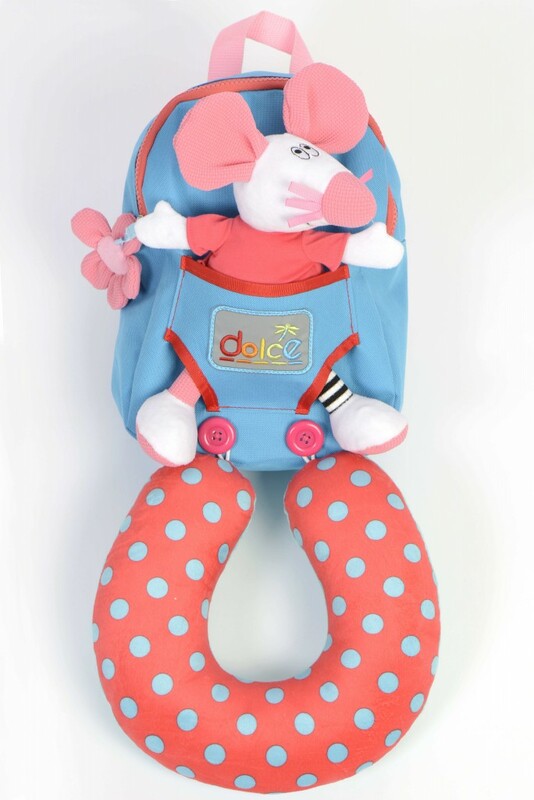 It also comes with an adorable neck pillow so our little traveler can have a comfortable rest. The logo is also a reflector that glows in the dark for extra safety. 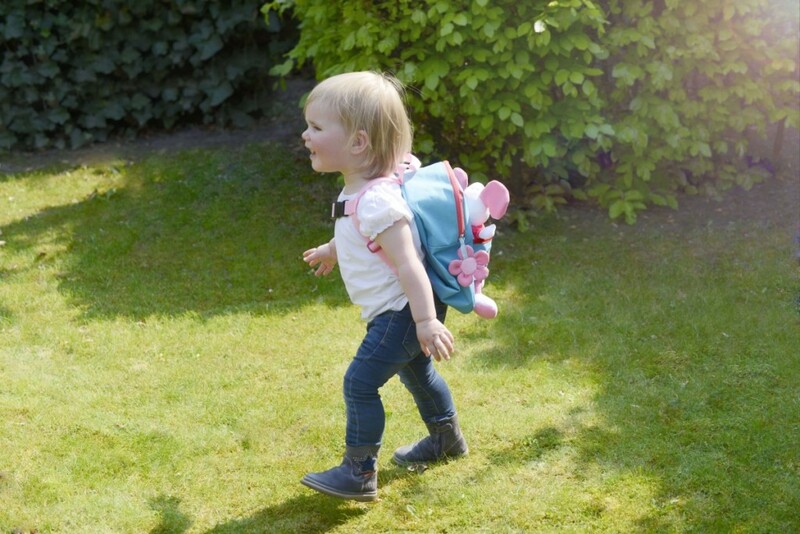 • Sounds: Children will delight in having a friend to share their adventures with. 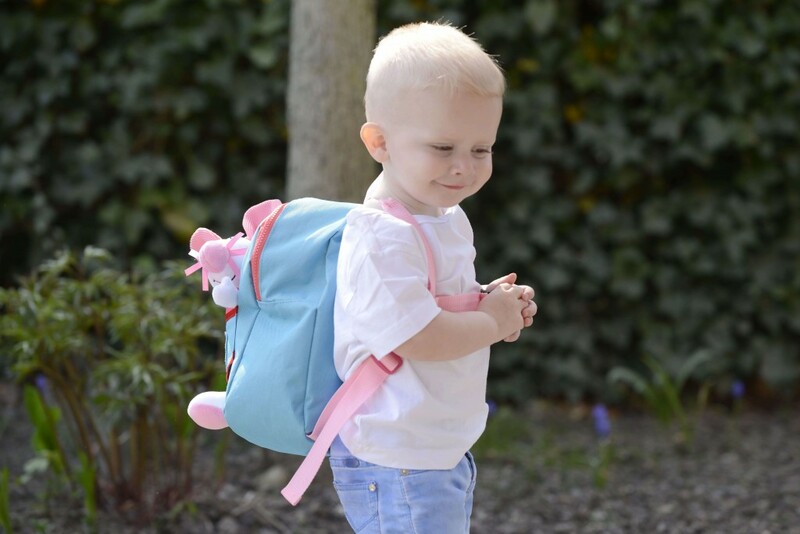 • Color: The variation of color makes them highly engaging for inquisitive toddlers. 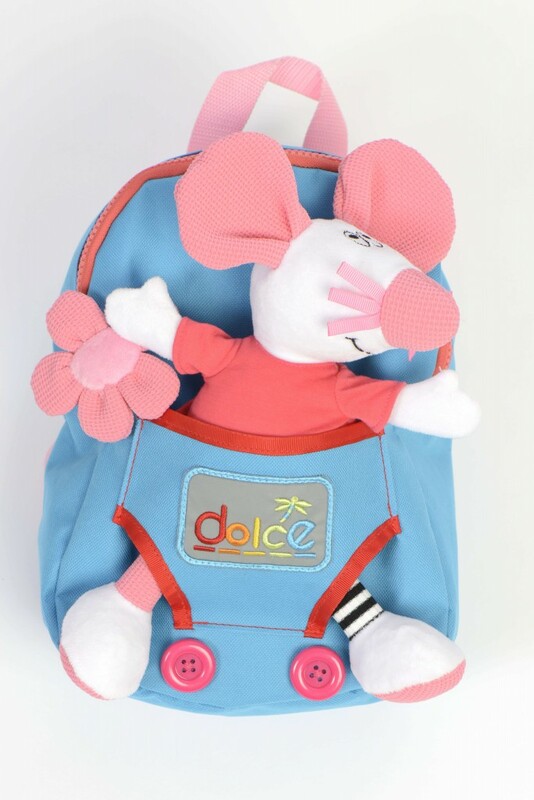 • Touch: The different textures, and soft material makes the mouse perfect for cuddles. 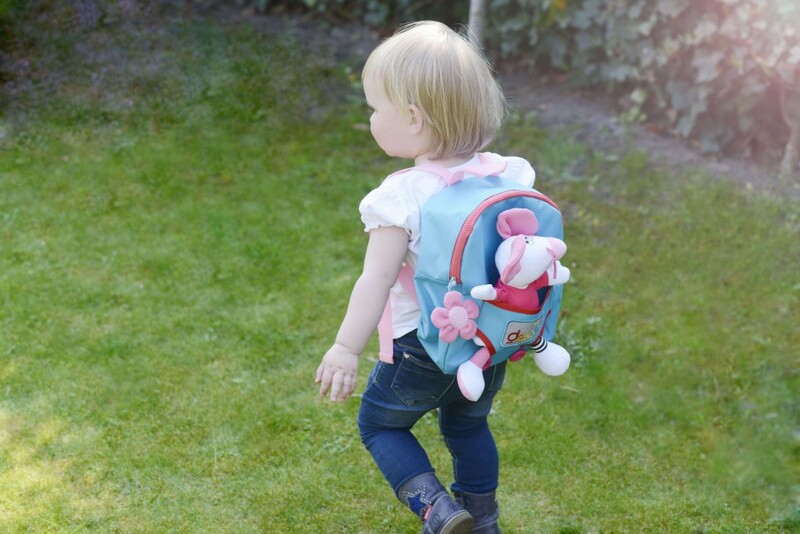 • Possession: Children will love having a bag for the first time to store their favorite toys in. 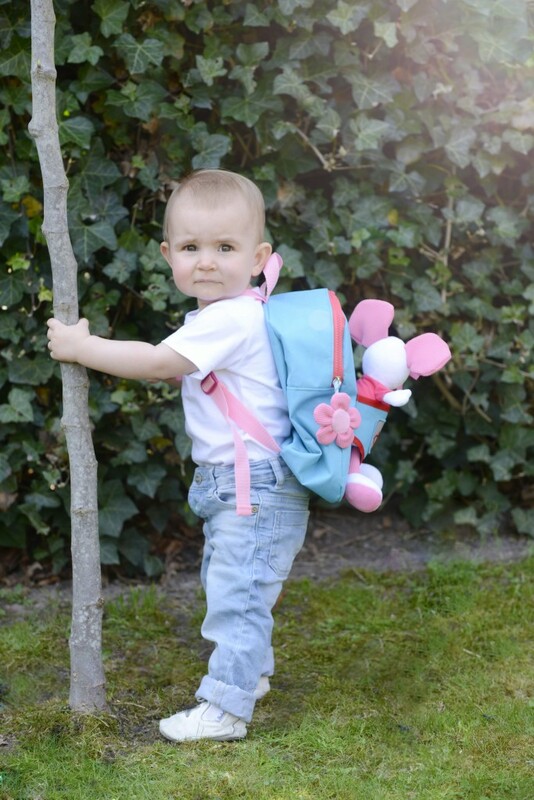 • Children will develop organizational and logistics skills by deciding which items to store in the backpack. 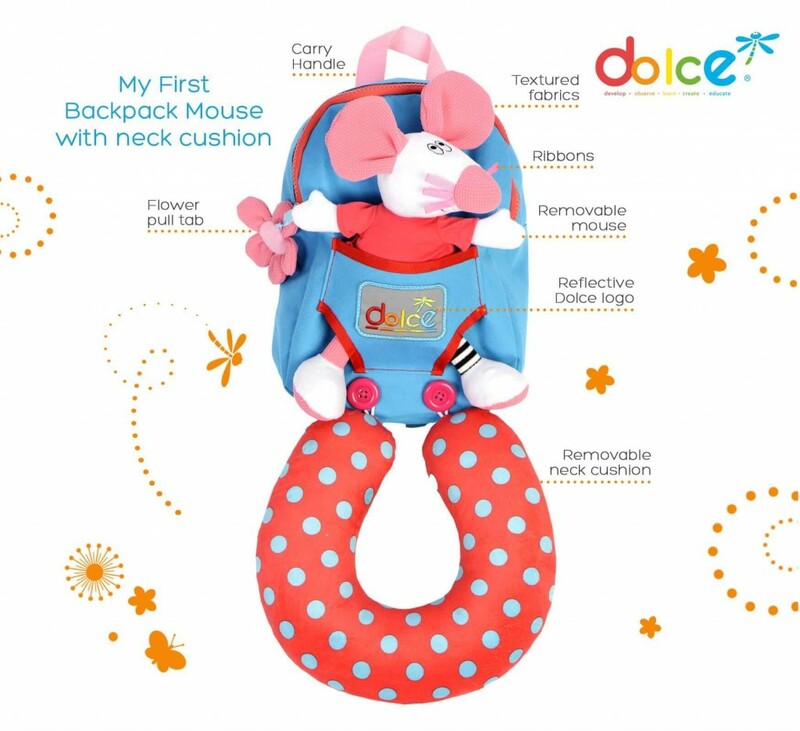 • Helps to connect motor skills with auditory learning by removing the mouse and opening the zipper.